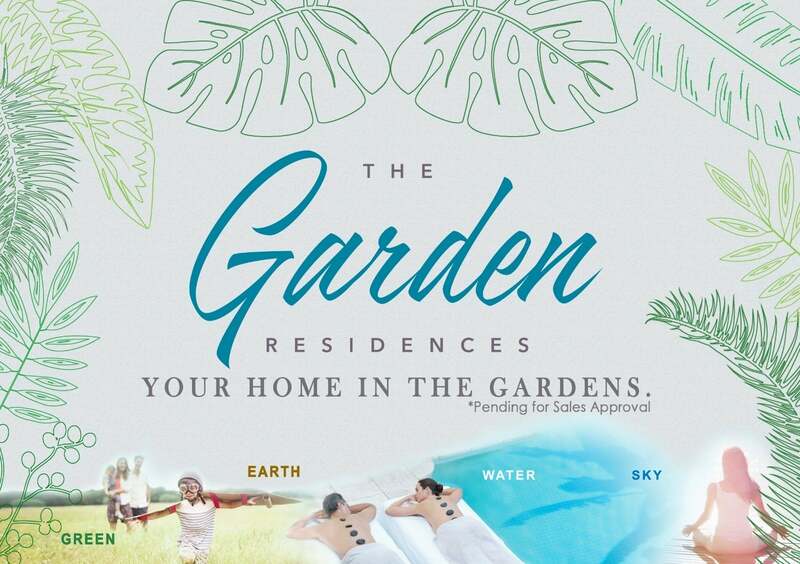 The Garden Residences @Serangoon - Your Home in Gadends by Keppel Land & Wing Tai. Only. Price Guide, Ebrochure Available. 🔴All prices are subject to change without prior notice. 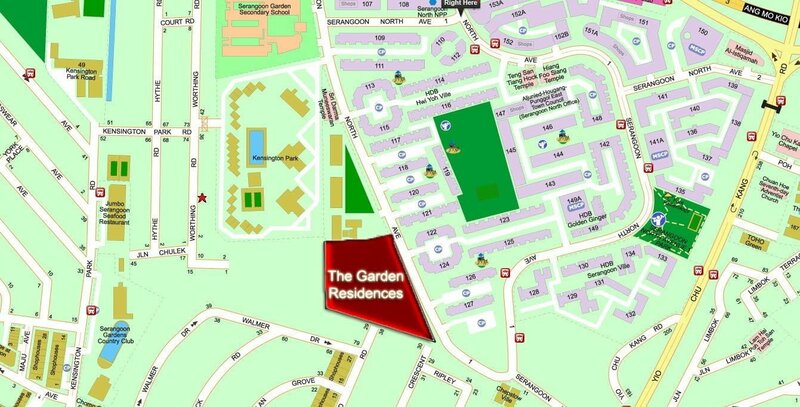 Located at Serangoon North View, The Garden Residences is a 99-year leasehold residential development. 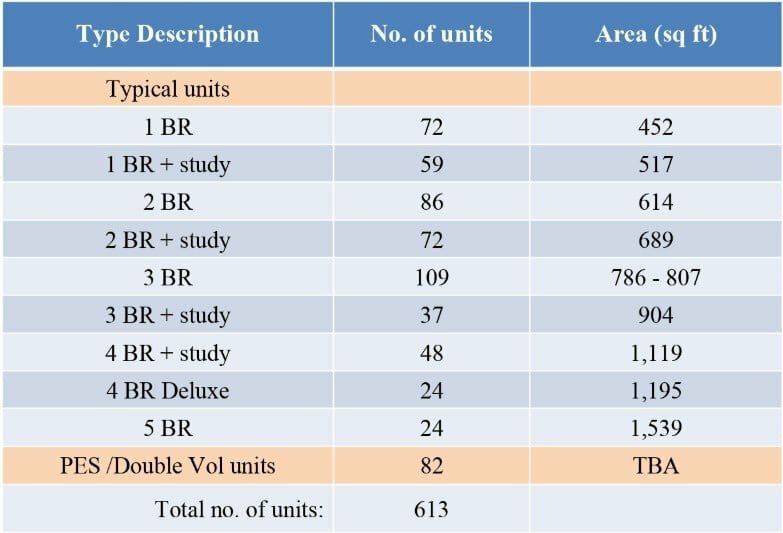 The site has a land area of 17,189.1 sq m and a permissible gross floor area of 42,973 sq m. This project consists of five 15-storey towers and will yield a total of 613 units. 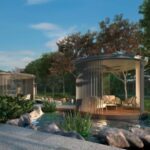 The Garden Residences is nestled within lush gardens, surrounded by a private landed house enclave within the established neighbourhood of Serangoon Gardens and the residential developments of Serangoon North. With its rich history, Serangoon Gardens is one of the oldest estates in Singapore. 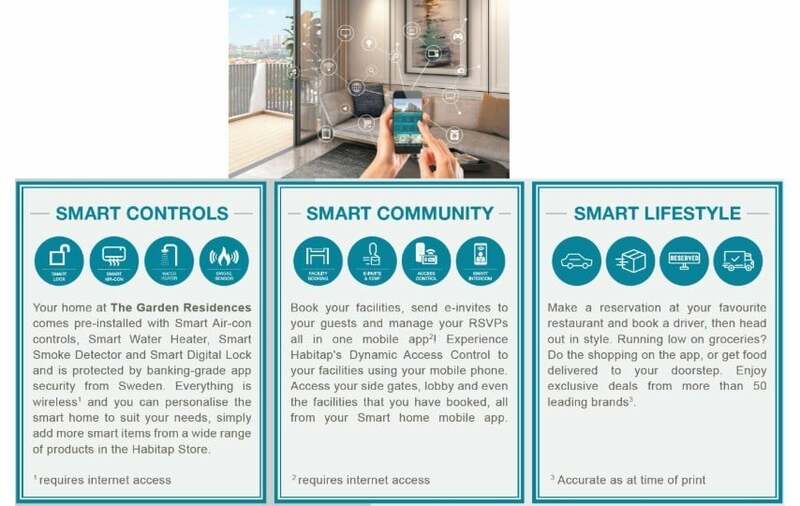 With a wide range of F&B choices including cafes, restaurants, the famous Chomp Chomp food centre and Serangoon Garden Market, along with shops and supermarkets within the nearby myVillage Shopping Mall, residents in the area benefit greatly from the convenience and access to these daily necessities. Established transport infrastructure provides connectivity to all parts of Singapore. Major expressways like CTE and PIE are minutes’ drive away from The Garden Residences. Serangoon MRT and Bus interchange are also nearby and residents are connected via a free shuttle bus service that is available for the first year. Within one kilometre are notable educational institutions such as Rosyth Primary School and Lycée Francais De Singapour. In the vicinity are also NEX shopping mall, Serangoon Community Club, Serangoon Stadium, Serangoon Gardens Country Club and Tavistock Park. Keppel Land is the property arm of Keppel Group and is one of Singapore’s most premier real estate development company. Keppel Land is known to construct many iconic real estate developments in Singapore and is committed to service excellence for its stake holders. Keppel Land has many developments in Singapore as well as in Asia and China. Keppel Land does not restrict itself to residential developments. It is known also as a leading prime office developer in Singapore. Some of the projects by Keppel Land include the Marina Bay Financial Centre as well as the Ocean Financial Centre. The company also has many commercial properties in other Asia cities such as Saigon Centre in Ho Chi Minh City as well as in Jakarta. Wing Tai Asia is a leading lifestyle and property development company that has been founded in Hong Kong back in the year 1955.On 9 August 1963, the company has been later on incorporated in Singapore. Since 1989, Singapore’s leading company Wing Tai Holdings Limited is listed on the Stock Exchange. With assets exceeding S$4.9 billion, the investment holding company has its main focus on Asia’s growth markets. 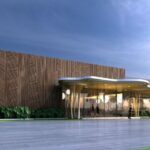 Wing Tai Asia’s core businesses consist of lifestyle retail and hospitality management, fund management, and property investment and development in selected markets in Asia. The holdings company operates through a network of companies under its brand, including the Malaysian, the Singaporean, the Chinese, and Hong Kong branches. The Group of companies in China, Hong Kong, Malaysia and Singapore have a Pan-Asia focus. Wing Tai Asia is taking strategic advantage of extensive local networks and deep market knowledge.. 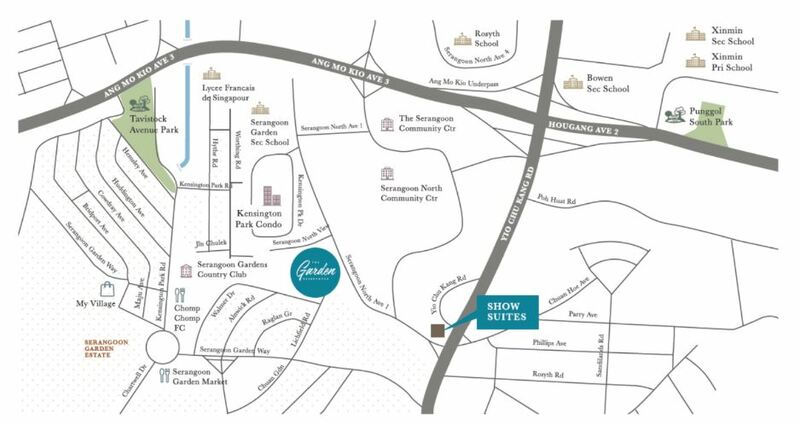 The Garden Residences is located in the mature town of Serangoon where there are many amenities nearby. For example, the popular NEX Shopping Mall is located right next to Serangoon MRT Station Interchange therefore your daily necessities are looked after for. Also, The Garden Residences is located in the quiet part of Serangoon North away from the hussle of the main serangoon town. A true city fringe and yet serene development awaits you at The Garden Residences by Keppel Land and Wingtai Holdings. The Garden Residences is located near to Bidadari which is under the government plans to include more facilities in the expanding town. The master plan for Bidadari site near to Aljunied Road will have a distinct character with a touch of history to preserve Singapore’s heritage. 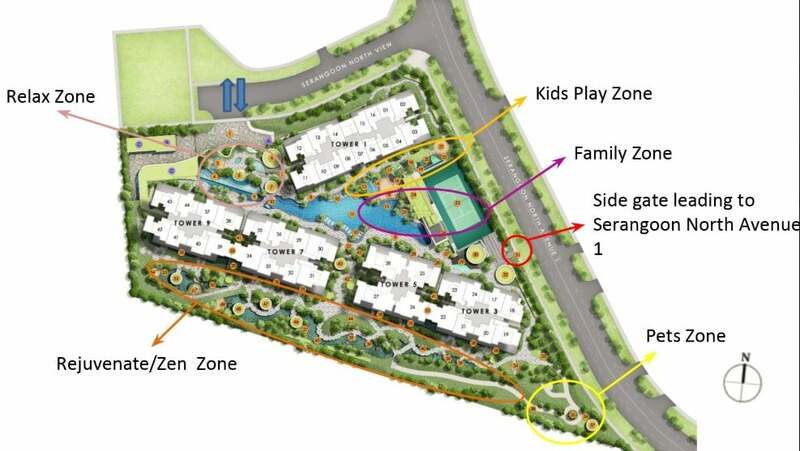 There will be unique green spaces as well as public amenities in Bidadari Town close to Serangoon North Avenue 1. Bidadari will consist of bicycle trails and Serangoon is located near to Bidadari. Connectivity to other parts of Serangoon is therefore assured with many of the amenities at Serangoon North and Upper Serangoon. The Garden Residences Serangoon is close to many eateries and according to many food blogs, the eateries are located near to NEX Shopping Mall. Serangoon is located in the North-East part of Singapore and is located near to Ang Mo Kio Town as well as Bishan. The Garden Residences Keppel Land is also located near to Housing & Development Board (HDB) estates and there are many food and supper sports located around Serangoon North. Places of interest around the development include Serangoon Garden and Serangoon Gardens Country Club. Developments in the Serangoon area are very highly sought after including Forest Woods at Serangoon Central which include good reviews and sales. The Garden Residences is located near to the expanding Bartley Town as well the Bidadari Estate. Plans are underway to transform the Bartley area into a city fringe town where there are many amenities in the area. Bartley is located close to the city fringe and served by the circle line with Bartley MRT Station located right in the centre of the development. Bartley Town is also well connected with PIE, CTE and KPE making it a convenient place to stay and traveling to the city area. There will be different designs and layout to cater to different buyers for their consideration. 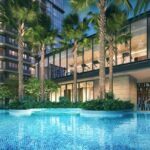 Wingtai Holdings is the developer for the plot of land of The Garden Residences Keppel Land Condo and was founded in 1955. 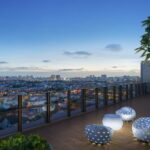 It is one of the first developers in Singapore and brands itself as a reputable real estate developer and lifestyle company. Wing Tai asia serves to be one of the best companies to work with through providing a meaningful employment experience through its human resource programme. Employees receive an all rounded work experience through job rotation and building long and meaningful trust with the company. 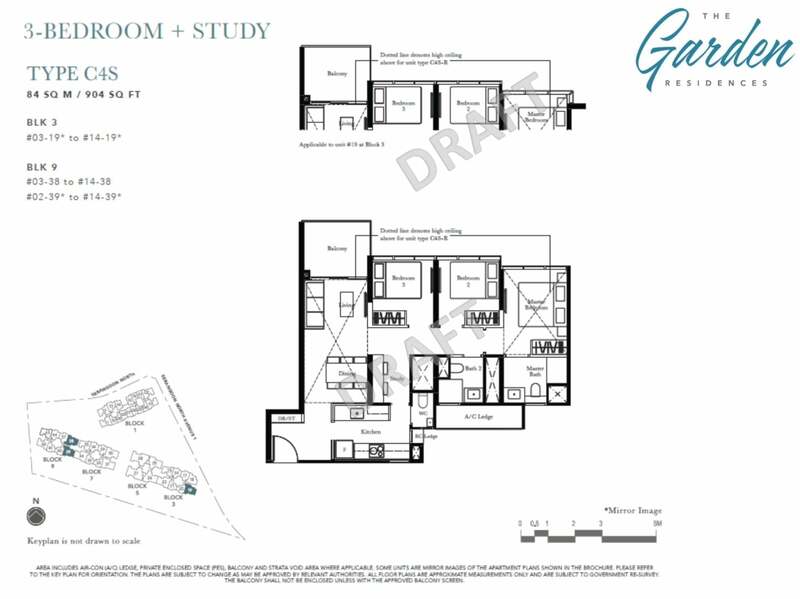 Please see The Garden Residences Location Map at Serangoon North and the floor plans for more detailed layouts of the development. Wing Tai Asia seeks to build long and trusting relationships through its stakeholders by focus on real estate product excellence and delivering innovative and worthy designs for its property designs. 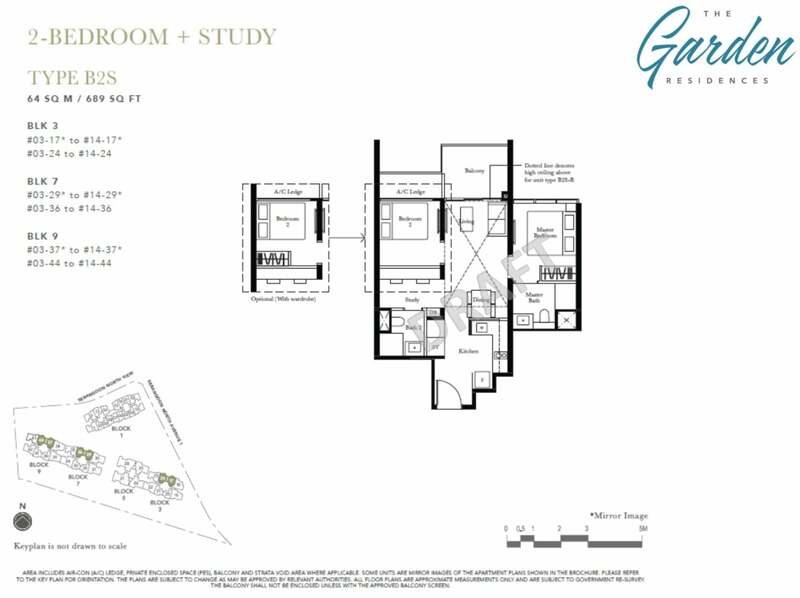 The Garden Residences consist of 1, 2, 3 bedroom units available. Typically, there are 2 types of facing. Ang Mo Kio Avenue 3 or Boundary Road facing. As a general guide, units 6th floor and above are able to get a unblock view.